Here's the bad news: a horde of aliens is living undercover on Earth, and they're smuggling weapons off-planet to fuel an interstellar war! Here's the good news: two of Earth's most powerful heroes are on the case, and one of them is the finest cop in the galaxy, Green Lantern! 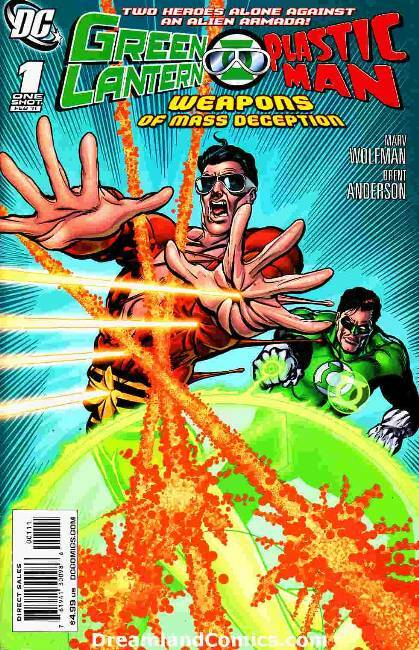 But here's the bad news again: the other one is Plastic Man. Sorry, GL. This is gonna be rough?